Our Fiesta Deluxe Dish Garden features a variety of five lush plants perfect for a desk, stand or table. 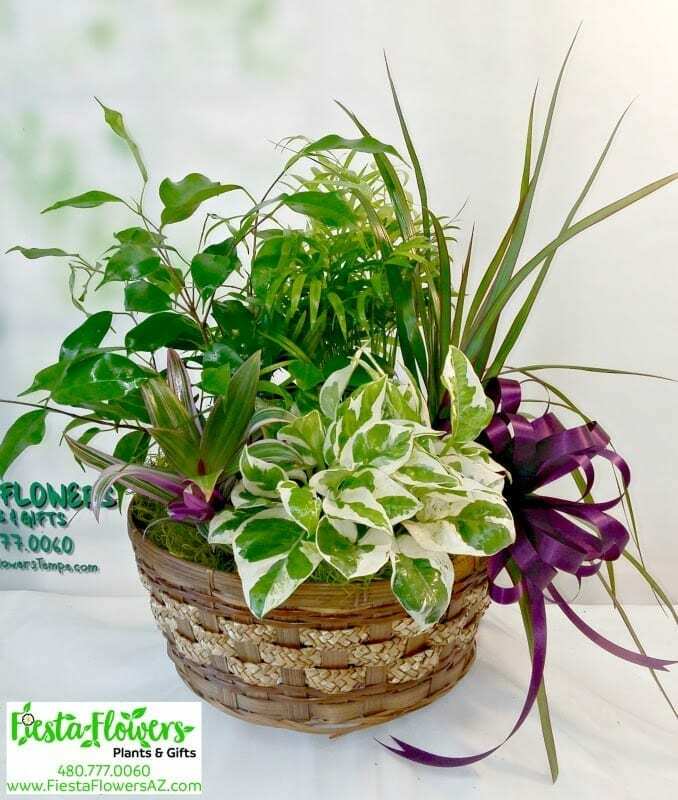 Planted in a beautiful 10 inch wicker basket, and adorned with a cheerful bow, our Dish Gardens are easy for care for. Dish Gardens are the perfect gift for occasions including “Thinking of You”, “Happy Birthday”, “Congratulations”, and “Sympathy”. Let us know if we can customize your bow for your occasion.